Our color spotlight of the day is Gallo Verona granite! This elegant looking stone is composed of a mixture of cool white, blended with pewter and then accented with a touch of sienna and umber. When you look at it from afar, you will see that its background color is dominating. However, if you look at it closely, you will notice the different shades highlighted in speckles and veins of colors. Its unique color combination and pattern gives it a sophisticated look which makes it stand out among the other colors. 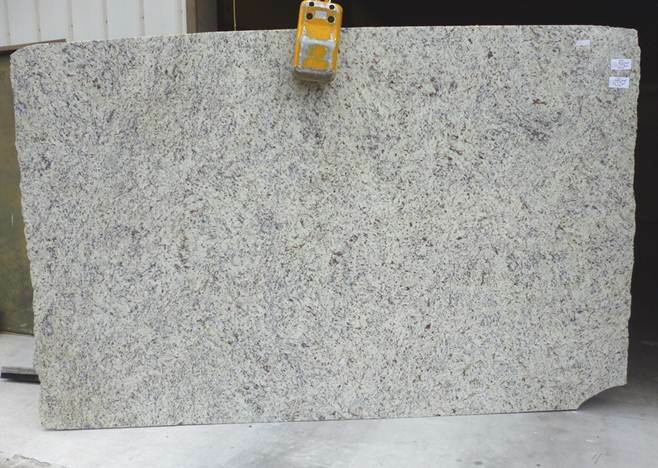 This granite color may vary somewhat when exposed to sunlight or under intense white lights. Under bright lights, it’s cool white background will be more visible. Under normal lighting, the color pewter and its other accents will be more noticeable. Due to its color scheme, this stone pairs perfectly with white cabinets. This combination will give your kitchen a subtle and relaxed vibe without making it look boring. It can also blend well with dark colored cabinets because it helps tone down the dark shade. Combining the Gallo Verona with wood cabinets will give your kitchen a warm and classic vibe. Gallo Verona granite is known for its durability and versatility which makes it one of the top favorites of our clients. Aside from its unique colors and patterns, its polished finish will add a sophisticated feel to your kitchen and bathroom countertops. This high-quality slab of granite is well-suited for a broad range of commercial residential projects. We offer amazing prices for this granite, and inventory is going fast! Don’t hesitate and contact us today or visit one of our warehouses to reserve your slab!